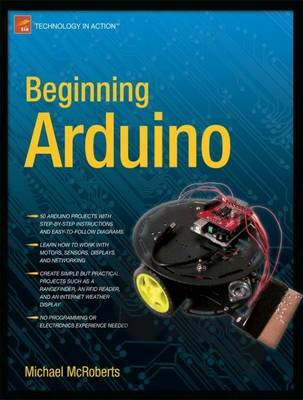 In Beginning Arduino, you will learn all about the popular Arduino microcontroller by working your way through an amazing set of 50 cool projects. You'll progress from a complete beginner regarding Arduino programming and electronics knowledge to intermediate skills and the confidence to create your own amazing Arduino projects. Absolutely no experience in programming or electronics required! Rather than requiring you to wade through pages of theory before you start making things, this book has a hands-on approach. You will dive into making projects right from the start, learning how to use various electronic components and how to program the Arduino to control or communicate with those components.